“Have you seen ‘Inception’ yet?” is the question everyone has for me, from my teenage nephew to my college roommate’s colleague in London to people I bump into in the hallways at work. The answer: no, not until Monday night. “Do you think it’s going to be awesome?” is often the follow-up question. The answer: yes, I hope so, all signs are promising. (I try not to read reviews before I’ve seen and reviewed something myself, but haven’t been able to help hearing that early reports have been very good.) But I’m trying not to get too worked up; we’ve all had the experience of hearing great things about a movie for too long, then seeing it and being vaguely disappointed. 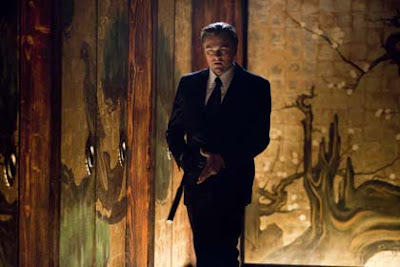 Best to keep expectations calm, and instead amuse myself by reading how marketers are troubled by “Inception” because they don’t know how to market an original, thoughtful, difficult-to-classify creative film about grownups starring great actors. Yeah, that does sound tough. I suspect “Inception,” if it’s good, just might market itself. “Inception,” whose vaguely defined plot has to do with dreams, seems to be following in the same tradition, perhaps taking it another step further. Trying not to get too eager, but I can’t wait to see what Nolan has up his sleeve this time.